What is Ivermectol (Ivermectin) used for? How should I use Ivermectol (Ivermectin)? 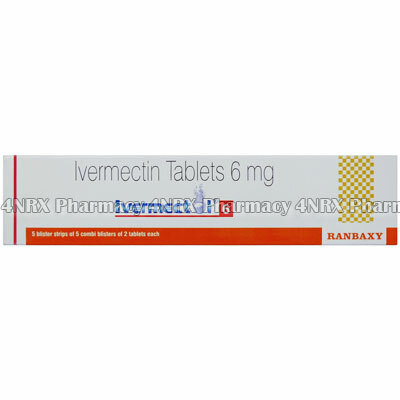 Ivermectol is available as a packet of 50 x 6mg tablets. Ivermectin dosage is dependant on body weight. Check with your doctor about the best dosage for your treatment. 0.15mg/kg - 0.2mg/kg of body weight is a commonly prescribed dosage range. Swallow Ivermectol tablets whole with a glass of water. Do not crush or chew the tablets. Ivermectol needs to be taken on an empty stomach. Take the tablets one hour before food or two hours after food. What are the side effects of Ivermectol (Ivermectin)? Ivermectin can cause allergic reaction in some people. Signs you may be allergic to Ivermectin may include hives, difficulty breathing, and swelling of your face, lips, tongue, or throat. If you notice any of these effects, contact your doctor immediately. While Ivermectin is well tolerated by most people, there are some associated side effects. Some of these are serious and will require medical attention, while others are more common and less serious. Ivermectin is only suitable to be taken by adults and by children over 5 years of age (body weight over 15kg). Ivermectol may not be safe for use in pregnant or breast-feeding women.